Falvey Memorial Library :: Now in proofreading: Step Lively! Now in proofreading: Step Lively! It’s been almost a year since the release of our third book from the Street & Smith Humor Series, but we still have one remaining title that was part of the original collection of dime novels rediscovered in our basement. 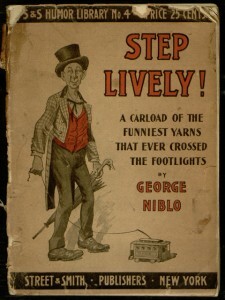 Like most of the books in the series, Step Lively! 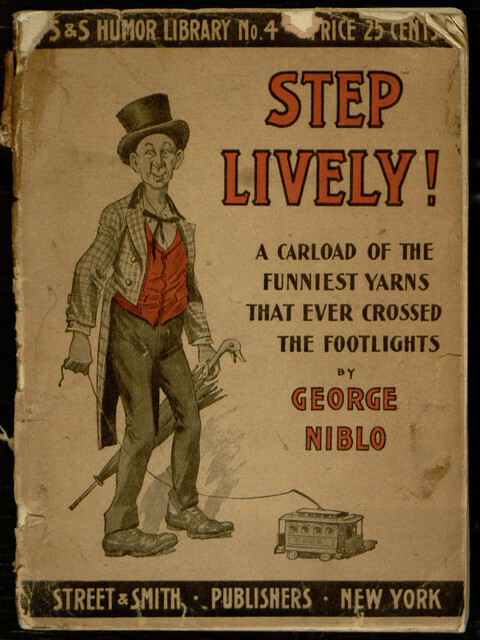 was written by vaudevillian George Niblo and contains jokes from his stage routines. Very little of this is likely to amuse the modern reader, and some will offend, but it is an interesting document of a past era. To join in the proofreading effort to turn this vintage book into a new electronic edition, first read our earlier post about how the process works, then visit the project page.